Welcome to the first Roll To Craft Jam! Do you like tabletop games? Weird ones? Emotional ones? Character-driven ones? Crunchy and filled with math? Any and all? Well this is the jam for you! Let's make some games! The indie tabletop gaming scene has been bursting with wonderful, amazing, creative, genius ideas in the past few years. However, there has been a severe lack of tabletop game jams! To that end, this is the Roll To Craft Tabletop Game Jam! Hosted by the crew of the actual play podcast Roll To Breathe, this jam will be going on all through March 2019. Encouraging people all over the world to sit down and put together some fun, cool, new tabletop stuff! From PBTA hacks, to art games, to homebrew content! 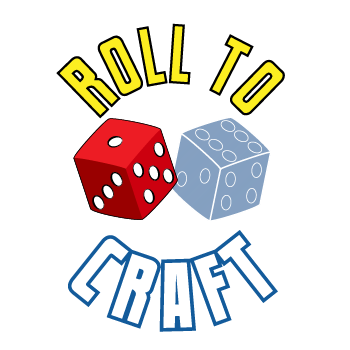 With Roll To Craft we want to encourage a fun, chill, relaxed atmosphere for anyone to come and flex their creative muscles to make a tabletop game about anything they want! Let's have fun and make some games! During the jam, we'll have an official discord channel for anyone looking for input, ideas, or community! There's a lot of really cool, friendly people in here! Come hang out. Roll To Breathe is an actual play tabletop rpg podcast, meaning that we play tabletop games for folks to listen to! We're going on our second year anniversary and we wanted to do something special! We also have a youtube channel where we've recorded our play-throughs of games like Quiet Year, Oddity High, and Final Bid. When you submit your game you'll have the option to choose if you'd like us to play your game! We'll record us playing your game and upload the play-through to youtube for everyone to see what your game is like! Nothing shows what a game is made of quite like people playing it, and we love to play these games! Take this theme and chop and screw it and look at it in all different kinds of ways to get some interesting ideas for games! A: Yes! When you see "game" on this page, that's just a quick substitute for "any kind of tabletop content you make" So it might be a whole game, but it might also be a homebrew book for the game Fellowship! As long as you're making some tabletop game stuff, then you're in! Q: I've been working on this game for a while, does it count? A: If you're finishing up, or continuing to work on a game you've been working on for a while that's totally cool! The goal of the jam is to just work on a project! The only thing that isn't allowed is to submit something you finished a few months ago. We want new stuff! If you feel like your game is "too finished" at the time of the jam, use your best judgement, we trust you! A: Anything! You can hack any system you want! Or build your own. Theres a lot of resources at the bottom of this page in the links section! Q: How do I make a tabletop game? A: There's a lot to this question. Think about it how you would make anything. How do you make art? a video game? music? You start with your idea. A genre you'd like to explore. A theme you want to look at. Or maybe a game mechanic. Then ask yourself some questions. 2. How do I want my players to do that? Theres a lot of resources at the bottom of this page in the links section! Q: I've only played a few or none tabletop games, is there any way for me to get some experience? A: Play games!! Theres a TON out there of all kinds! Check out the physical games section on itch.io. Play Dungeon World it's entirely free. Go spend some money on Quiet Year or Masks by Magpie Games. The games that run the "Apocalypse World" engine (or "Powered By The Apocalypse" aka PBTA) are called "story games" which focus on roleplaying and telling stories rather than heavy rules and numbers. They're the best way to get into tabletop games. There's nothing wrong with crunchy ttrpgs, but they can be a bit scary to get into! Q: What about more traditional board games? Q: How do I submit my game? A: Well, there's a lot of different ways! Take a look at the physical games section on itch.io https://itch.io/physical-games But, you can submit a text file, an image file, a PDF, anything you can put rules on for people to download and read to learn how to play! A: Sure I suppose we can't stop you. It feels against the spirit of a game jam, though! A: Do you consider a bunch of very funny people playing your game a prize? No? Well then! There's no prize, the jam is just for casual fun and to give you that motivation and positive pressure to finish making a thing in a month! The real prize is the friends we make along the way. a gmless ttrpg for 2-4 players about reincarnation, repetition, and difference. ASOUE-inspired PBTA game where you attempt to seize the fortunes of plucky orphans. Draw cards. Roll dice. Make characters. Sir, you have a loose screw! A game about robots escaping from control of humans. Btw, you have to speak robot languages. A diceless tabletop rpg about monsters. A PBTA hack about life on the run from a pseudo-omniscient government/corporate entity. Superteens take on high school. Who will be the sorcerer's Apprentice?